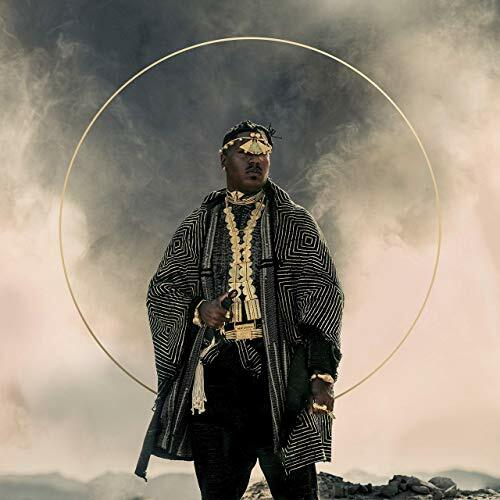 Since forming his Stretch Music imprint in 2015, Christian Scott aTunde Adjuah’s trailblazing mission is to elongate the possibilities of how jazz in the twenty first century would sound and feel. The trumpeter/multi-instrumentalist comes from the lineage of jazz giants as the nephew of Donald Harrison, while studying in his home town of New Orleans at NOCCA and later at Boston’s Berklee School of Music. But though he purposely respects the elders of jazz, Scott aTunde Adjuah weaves culture and relevant social matters into the content of his projects, including his Stretch Music/Ropeadope series of CDs since 2015. In his most ambitious work yet, Scott aTunde Adjuah is joined by Chris Turner and rapper Mark Larry Drew in a clash of jazz, hip-hop and soul, driven by an atmospheric soundtrack on our First Listen focus, “Forevergirl.” The second single from Scott’s latest Stretch Music CD, Ancestral Recall, enters into a fascinating conversation between Scott, his band and the featured artists that never dabbles on formulaic concepts, yet never meanders into unfriendly listener territory. With Scott aTunde Adjuah’s additional gifts as a film scorer and as an incredible visionary to advance the cause of music-period, “Forevergirl” delivers a refreshing alternative in urban music listening.